After the bitter divorce of her parents, 15-year-old Catherine (nickamed “Cat”), her mother, and her older brother move to a trailer in a rural town in northern Michigan. It is there next door that Cat meets wild child Marlena, a beautiful, eccentric girl whose father is a meth cook. 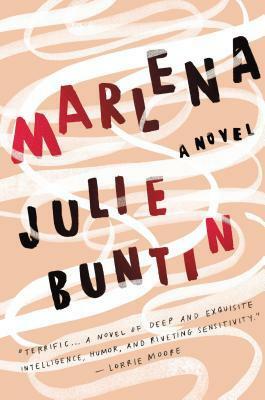 Cat quickly becomes caught up in Marlena’s life, and the two become the best of friends. It’s apparent early on that this is a story told largely in flashbacks, with an adult Cat telling us the story of her past from her current state as a sad, functional drunk. We also learn within the first few lines of the book that it is within a year of Cat and Marlena’s first meeting that Marlena will be dead. I hate that the author gives us that critical detail on the back flap (it isn’t a spoiler), because the rest of the book becomes an interminable wait for the inevitable to happen. Even though the book is well written, there’s no suspense, there’s no surprises, and ultimately there’s no fun here. It’s a pretty depressing book and I found it unsatisfying. P.S. – If you’re really interested in a recently written book on complex, destructive teen girl friendships I’d recommend “Girls on Fire” by Robin Wasserman, and “The Girls” by Emma Cline. Both of these books are five stars.